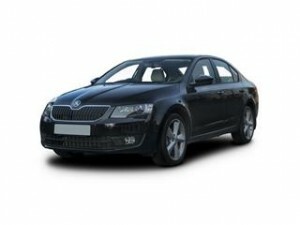 Perfect for everyday family life the Skoda Octavia is the stand out example in the congested family hatchback market. Packed with clever technology to improve the driving experience the Octavia delivers in both looks, performance and value for money. The spacious interior provide comfort at a level unseen in this class. The dashboard is well planned with ease of access to everything the driver would need. The touchscreen stereo system taking centre stage. The finish is of a quality feel with silver-finish trim complimenting the controls. The multi-functional steering wheel come sin soft plush leather for an even more comfortable driving experience. The engine comes in 14 different variations, these include diesel and petrol versions and manual or automatic gearboxes too. Ranging from a 1.4 up to a 2 litre version too. The most economical version is the 1.6 litre TDI version which can return up to 74.3mpg and that means no road tax. For performance the vRS version is the best for performance with a 0-62mph taking just 6.8 seconds. Boot space will be more than enough for most families and trips away with a suitcase swallowing 590 litres available, with the seats folded down this suddenly goes up to 1,580 litres. Purchasing your new Skoda Octavia needn’t be stressful. We take care of all the hassle of comparing prices, deals and offers. All you do is tell is the model and spec of your new Skoda using our online form and we do the rest. We offer a no obligation and totally free service with a professional and caring attitude. We can even advise on finance options should you wish to purchase using this method. Get started today by simply using our form to tellers the model and spec you are interested in.